Access the form you wish to change (How to Access Form). Click on the ‘Publishing’ tab in the middle panel. 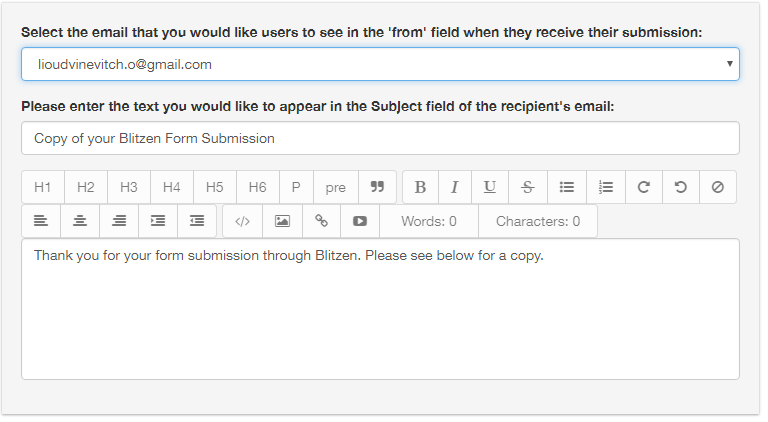 Check the box that says ‘Allow users to email themselves a copy of a submitted form’ in the middle panel. Form changes are saved automatically. 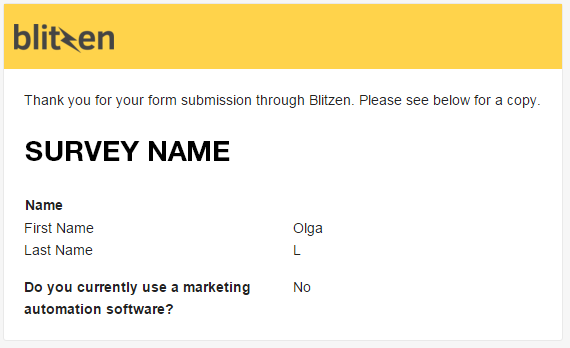 Respondents are able to input the email address they wish to have the form sent to. You can change the look and feel of this email as well as the subject line through the ‘Publishing’ tab. Use the right panel to make the design and formatting adjustments.